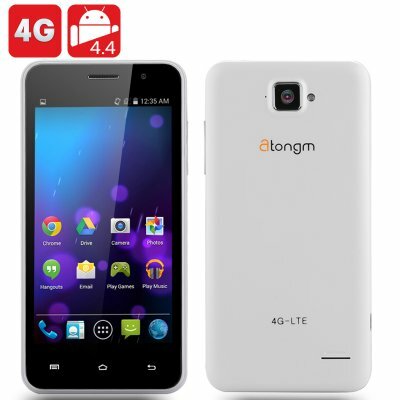 Successfully Added Atongm H3 Android Phone - 4G FDD-LTE, 1.2GHZ Qualcomm Quad Core CPU, 4.5 Inch Display, 1GB RAM, 8GB Memory (White) to your Shopping Cart. Atongm H3 Smartphone offers top end features at a price people on a budget can afford. With 4G connectivity you too can enjoy streaming movies directly to your mobile device and take advantage o the new high speed download capabilities for mobile communication. 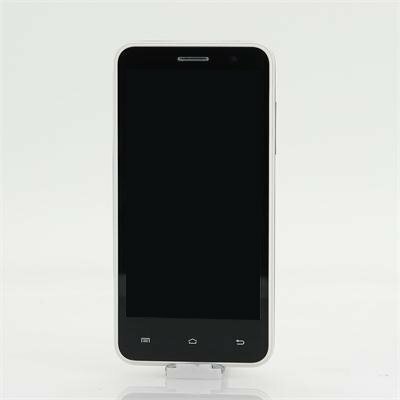 A 4.5 inch capacitive touch screen it very responsive and displays at 854x480 resolutions so you can really enjoy pictures or movies. With a Quad Core MTK6582 CPU that runs at 1.2GHz and 1GB of RAM the H3 smart phone has enough power for seamless multitasking and gaming. With an Android 4.4 operating system you’re able to take advantage of the latest features such as Google Now which, offers voice commands for hands free usage so you can dictate messages, find locations or call contacts without even touching the phone. There are unparalleled customisatoin options in Android 4.4 and many other features for you to enjoy. Along with all this you get Wi-Fi capabilities for wireless networking and the H3 phone comes with built-in Bluetooth for wireless data transmission. The front and rear cameras let you take photos on the go and with support for 32GB micro SD cards there’s more than enough storage space so you can get all your favorite apps from the pre installed Google play store which offers you a world of choices for apps and gaming fun.